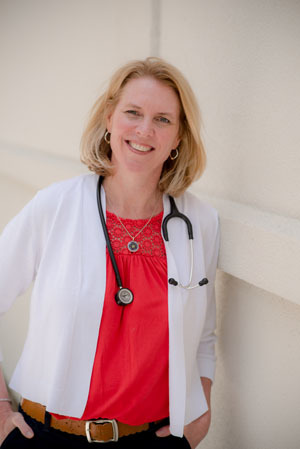 Kathryn Baker, DO, is board certified in pediatrics and is a Fellow of the American Academy of Pediatrics. She received her medical degree from Philadelphia College of Osteopathic Medicine and completed her three year pediatric residency at Geisinger Medical Center in Danville, Pennsylvania. Dr. Baker began practicing in the Trumbull area in 2001. She is an active member of the pediatric staff at Bridgeport Hospital. Dr. Baker and her husband live in Trumbull with their three daughters. Dr. Baker enjoys reading, spending time with her family and staying involved with her local community. Dr. Baker is dedicated to helping her patients and their families to attain optimal physical, mental and social health and well being. She follows the general guidelines set forth by the American Academy of Pediatrics. Immunization schedules are adhered to as recommended by the CDCand AAP. In accordance with her osteopathic training, Dr. Baker believes in treating the whole patient, not simply the symptoms. She understands that parents and families play a critical role in the health of their children. Dr. Baker works closely with her parents and families together to best guide their treatment. She supports all efforts to reduce the use of medically unnecessary antibiotics. Dr. Baker feels particularly comfortable with physical and social issues facing adolescents today. Baker Pediatarics follows the well-child visit guidelines promoted by the American Academy of Pediatrics. We recommend frequent check-ups during infancy and yearly beginning at two years of age. We believe these visits are important to assess growth and development, as well as to offer advice regarding safety and emotional issues that are an integral part of a healthy childhood. We see patients from birth through high school graduation. Well visits can be made up to three months in advance. All efforts will be made to accommodate ill children within 24 hours when appropriate. Advice will be available from one of our skilled office staff during office hours, and patients will have access to physician advice 24/7 if necessary.